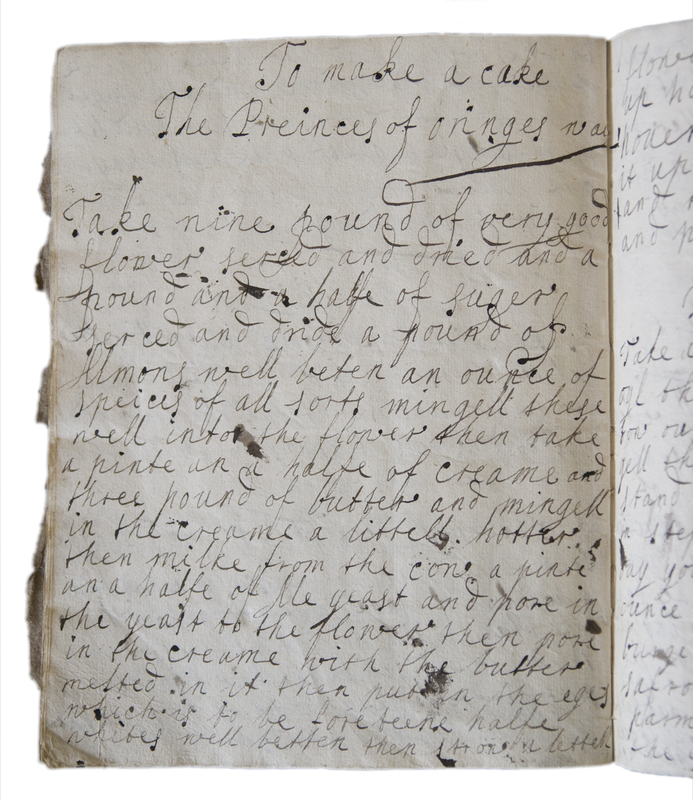 We recently brought to you some recipes from the pen of Abigail Abdy, who lived in Kelvedon and Coggeshall in the 1660s and 1670s. 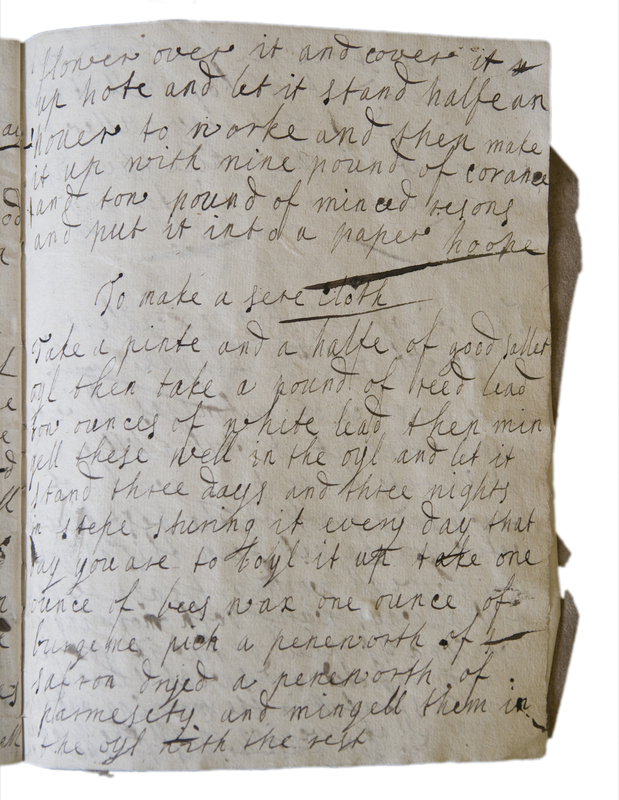 She carefully recorded her recipes, for medicines and for food, in a book which she titled ‘Mrs Abigail Abdy her book’ (D/DU 161/623). Abigail died in 1679, but this was not the end of the use of her book; two more hands fill the remaining pages. The second hand is a mystery, but in the 1930s Miss A.D.Harrison made a conjecture who the third hand may have belonged to (D/DU 161/661). Three years after Abigail’s death, her husband Sir Mark Guyon remarried, to a Mrs Augurs, his waiting-maid, and Miss Harrison suggests that it was Mrs Augurs who wrote the later recipes. Take nine pound of very good flower serced [sifted] and dried and a pound and a half of suger serced and dride a pound of Almons well beten an ounce of spices of all sorts mingell these well into the flower then take a pinte an a halfe of creame and three pound of butter and mingell in the creame a littell hotter then milke from the cow a pinte an a halfe of Ale yeast and pore in the yeast to the flower then pore in the creame with the butter melted in it then put in the eges which is to be foreteene halfe whites well betten then to one a lettell flower over it and cover it up hote and let it stand halfe an houer to worke and then make it up with nine pound of minced resons and put it into a paper hoope. We especially like the instruction to use cream ‘a littell hotter then milke from the cow’. More recipes from the archives coming soon! This entry was posted in Archives, Collections, Essex history, Recipes and tagged Abigail Abdy, cake, recipes, Wililam of Orange by admin. Bookmark the permalink.